Drought propagation is very significant for short-term drought forecast and water resources management. However, the law of drought propagation is still unclear, especially with human activities. In this study, we calibrated and validated the SWAT model in the Luanhe River basin controlled by the Luanxian hydrological station, where there are three large reservoirs upstream and water diversion to Tianjin city. 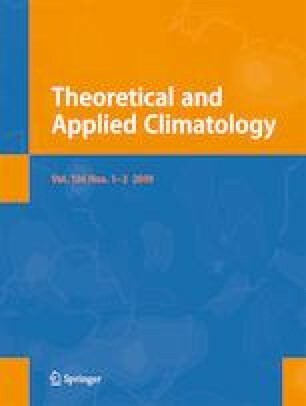 The variable threshold level (VTL) method was employed to identify meteorological and hydrological events both under natural and reservoir-influenced conditions. Drought occurred more frequently, drought duration became longer, and drought deficit became larger with the influence of reservoir regulation and water diversion to Tianjin city. The lag time of hydrological drought onset was shorter and termination longer, i.e., the drought period was more persistent. Multiple regression was used to establish the relations between hydrological drought and the driving factors both under natural and reservoir-influenced conditions. The coefficient of determination is high enough to explain drought propagation. The driving factors were different under the two conditions. The results could provide valuable information for water resource managers. This work was supported by the National Natural Science Foundation of China (No. 51479130). We are also grateful to the Hydrology and Water Resource Survey Bureau of Hebei province for providing the hydrometeorological data.